Do Clear Aligners Actually Work? Patients with crooked teeth (malocclusion) often realize that they should correct their tooth alignment as soon as possible. 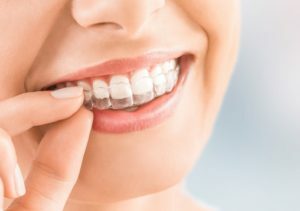 Besides the visible effects that it can have on your smile, malocclusion can also make biting and chewing more difficult and uncomfortable, leading to a host of bite problems. However, many patients hesitate to straighten their crooked teeth because they believe doing so will require wearing brackets and wires on their teeth for several years. Fortunately, with Invisalign® clear aligners, many patients in North Hollywood can enjoy the straighter, more attractive, and more functional smiles they deserve without the need for traditional braces. Your smile’s appearance may be the most obvious effect of malocclusion, but it isn’t the only reason why straightening your teeth matters. The point of orthodontic treatment is to ensure that all of the components of your bite can open, close, bite, and chew properly, which requires balance and symmetry among your teeth. When this balance is interrupted, the uneven and inconsistent pressure of your bite can end up damaging one or more teeth, forcing others further out of alignment, and causing damage to your jaw’s joints and muscles. Traditionally, bringing crooked teeth into proper alignment required the use of braces, which consist of brackets that are bonded to your teeth and arch wire that gently pushes them toward their desired positions. By contrast, clear aligners are designed to fit over your teeth and gradually guide teeth toward these positions. Treatment involves progressing through a series of custom aligners, each one designed to continue your teeth’s path of movement by picking up where the previous one left off. By switching brackets and wires for more comfortable and virtually invisiblenvisla aligners, Invisalign® makes orthodontic treatment more attractive for a wide variety of patients. Invisalign® clear aligners offer a variety of benefits, but their most significant advantage is that they’re as effective as traditional braces for patients with a variety of tooth alignment issues. For more information, schedule a consultation by calling Modern Smile in North Hollywood, CA, today at 818-763-9353. We also proudly serve patients who live in Burbank, Toluca Lake, and all surrounding communities. To remove, or not to remove your wisdom teeth, that is the question: and if so, when is the best time to do it? Wisdom teeth, also commonly known as 3rd molars, are the last teeth to erupt in the mouth and appear in the early adulthood, between the ages of 18 and 25 years. They are also the furthest teeth in your mouth and commonly hidden underneath gum tissue. Most people have four wisdom teeth, but it’s common to be missing 1 or 2 and in some cases all four. So what is the problem with Wisdom teeth? So, much like the Tonsils or the Appendix, Wisdom teeth are an evolutionary useless organs that once broken or infected are best treated by removal. We don’t use these teeth to chew and by the time food is that far back in the mouth you are in the process of swallowing it. Does every Wisdom teeth need to extracted? In the U.S., general consensus among dentists and oral surgeons is that that impacted wisdom teeth should be taken out as a preventative measure while the patient is young and healthy to prevent risk of future infection, gum disease, and tooth decay. The older the human body gets the higher is the risk of post surgical infections and difficulty in healing. Furthermore, due to bone morphology and root formation, it is easier to extract a wisdom tooth from younger patients than older ones and that translates to a less invasive surgical procedure and faster healing in younger adults. However, there are many instances that the wisdom teeth are properly positioned and maintained in the mouth or placed very close to a vital nerve tissue that could damage during the extraction and cause facial numbness. In those situations extraction of the wisdom teeth may be more troublesome than its worth and are best left untouched. So although it is generally recommended to remove your wisdom teeth at an early age, it’s not always necessary and is best to have it evaluated by your dentist. 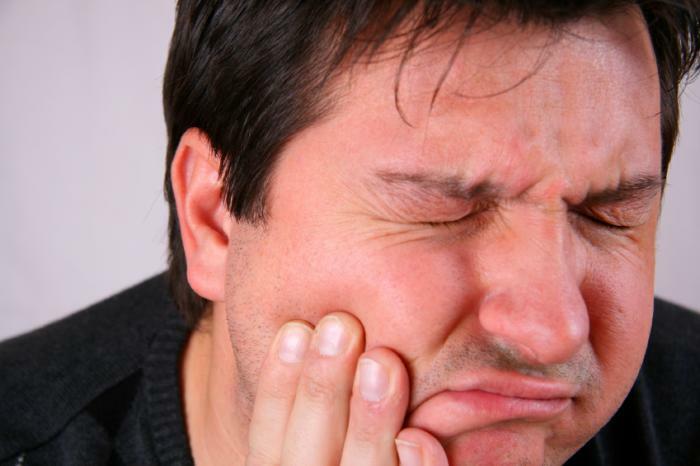 If your wisdom tooth is painful or giving you trouble, we can remove it with very little pain or discomfort. At our dental office located in North Hollywood we have a highly trained and experienced oral surgeon that will review your health history, obtain digital panoramic x-rays and create a custom sedation plan that will make your treatment a breeze. Give us a call at (818)- 763-9353 to schedule your evaluation or book online using our easy scheduling tool. We work with almost all PPO dental plans and can help you maximize your dental benefits and minimize your out of pocket costs. I am really impressed with the staff at Modern Smiles dental office. I am also very happy with the new Dentist Dr. Kasra Tajik. He’s got a great personality, gentle, no snobery, explains things as he moves along. I was thinking of finding a new dental office in North Hollywood I am now going to stay. Thank you to all the super duper girls and the Great Dr. Kasra Tajik. As dental material technology has evolved over the years, so have dental crowns. There are 3 main generations that date as far back as 1900’s and started with the first of its kind, the all-porcelain “jacket” crowns. This crown although aesthetic, was prone to fractures and leakage and didn’t last very long. In the 1950’s Abraham Weinstein addressed this issue by inventing the famous Porcelain Fused to Metal (PFM) crown that has become the stable of the dental industry and still used to this day. By bonding the porcelain to an underlying metal framework, Weinstein was able to reduce the stress fracture rate and simultaneously improve their fit and longevity. However, this process wasn’t without some downsides. To hide the dark color of the underlying metal framework, an opaque white layer had to be baked on top of it to cover the color and created the appearance of chalky white crowns often associated with PFMs. Furthermore, as the gum lines recessed due to irritation or other factors with the metal alloy, the margin of the these crowns would start to show as an undesirable dark purple line around the gum line. Th second generation of dental crowns IPS Empress by Ivoclar Vivadent Inc., Leucite crystals were introduced to the porcelain which allowed it to be pressed under heat and pressure to form in a mold and create restorations that were fracture resistant while providing a great fit and appearance. Although this was a significant improvement and allowed to do away with the metal framework, its application was limited to front teeth or smaller cavities. These IPS Empress crowns were still not strong enough to be used to cover the back teeth such as molars or used as dental bridges and under heavy stress would fracture or break. In the late 1990’s Lithium Disilicates and Zirconium Dioxide based crowns, also known as Bruxzir, were introduced to dentistry which significantly changed the landscape and provided a new paradigm shift in dental aesthetics and wear resistance. 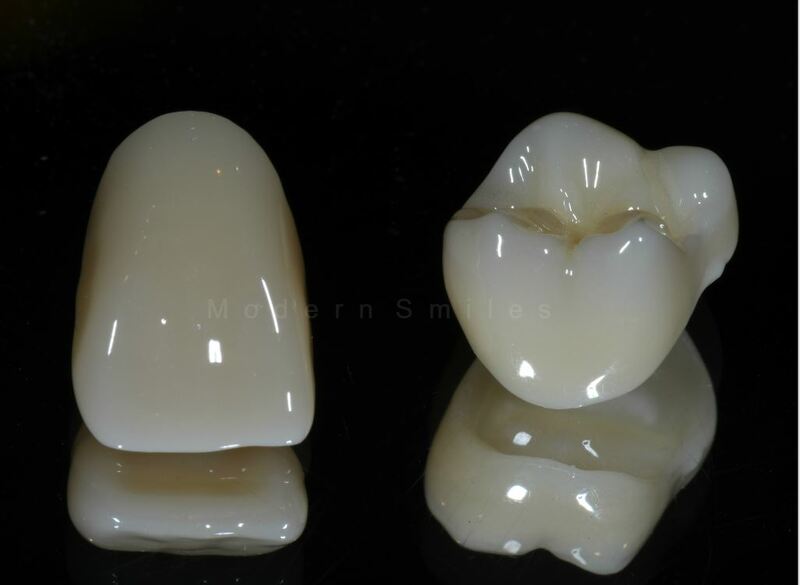 These E.Max crowns and restorations achieved an impressive flexural strength without compromising fit or the translucency of the material which gives its beautiful and life like appearance. In addition, these materials have been shown to be less abrasive on the opposing natural dentition which overtime leads to less excessive wear and attrition. Preservation of Natural Tooth Structure: Due to their increased strength and stacking of fewer layers, less tooth structure has to be removed to achieve the same objective leading to less sensitivity and preservation of patient’s natural tooth. Improved Aesthetics: The transparent color and lifelike shape of E.Max porcelains ensures that these crowns or veneers will never be noticed amongst your own natural teeth, plus there is no metal base so no unsightly looking grey line around the gum line. Bio-compatibility: Both Bruxzir and E.max crowns are regarded as highly bio compatible. With no metal alloy layer prone to rust or toxic mercury content, these crowns are very inert and considered non-cytotoxic. Bonded Retention: Due to their unique chemistry and structural form, these crowns can be bonded to the tooth which not only increase their strength but also their adhesion to the tooth and therefore longevity. At Modern Smiles Dental Practice in North Hollywood your satisfaction is our number one priority. Our trained and dedicated doctors will utilize only the best in class and modern dental materials to achieve extraordinary results. Contact us via phone at 818.763.9353 or online to learn more. Since the invention of dental implants by Dr. Branemark over 30 year ago we have come a long way in successfully restoring missing teeth with titanium based implants. New designs and computer guided surgeries have virtually made the process error free with remarkable results and longevity. If you are trying to decided between repeating a root canal or undergo extensive surgeries to save a periodontally infected tooth, I would recommend consider Implants as viable long-term solution. As good as implants have become, there are still some factors to consider that would help ensure a successful result. Not all implants are the same and with over 100 systems out there you have to be aware of what is working and their advantages. They have to be titanium based with a sand blasted and acid etched surface. 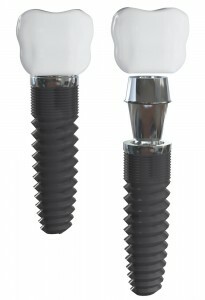 This is what will help the implant integrate with your bone. Brand Name. Just like a car or any other product you want to stick with reputable brands such as Nobel Biocare, Straumann, Astra, Implant Direct and AB Dental. Most of these companies use similar patents and have trustworthy manufacturing processes to create quality products. They will also most likely be around so when you need parts for your implants it won’t be hard to find. Platform Switching. This is technical term that refers to a difference in the size of the neck of the implant and the size of the attached crown section that inserts into the implant. You want the neck of the implant to be slightly wider. Use a doctor that takes a CBCT Scan and preferably uses a guided surgical stent. CT scan is a crucial part in this process. With proper imaging studies, your doctor will be able to identify crucial landmarks and sensitive parts of your bone and with the aide of a surgical guide he or she can place your implant in a predictable manner. Think of it as having a Tesla AutoPilot with GPS navigation vs. a Thomas Guide! These are four simple tips to consider while you’re considering placing an implant. There are many more factors to consider that could impact the success of an implant such as diabetes or smoking. You can always consult with us to learn more about this subject and find out if you’re a good candidate.